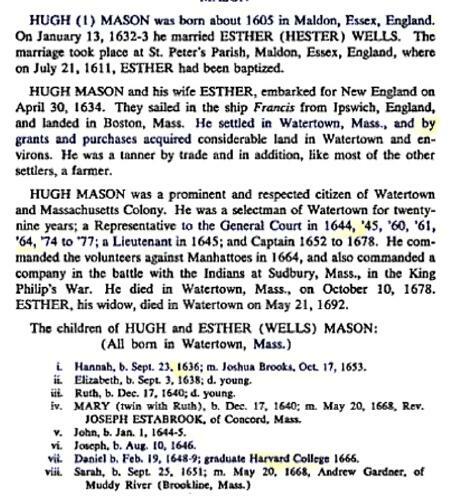 "Maine Births and Christenings, 1739-1900," database, FamilySearch (https://familysearch.org/ark:/61903/1:1:F43L-55P : 4 December 2014), Fred Edwin Mason, 20 Oct 1877; citing CIVIL, FRYEBURG, OXFORD, MAINE; FHL microfilm 10,915. Capt. 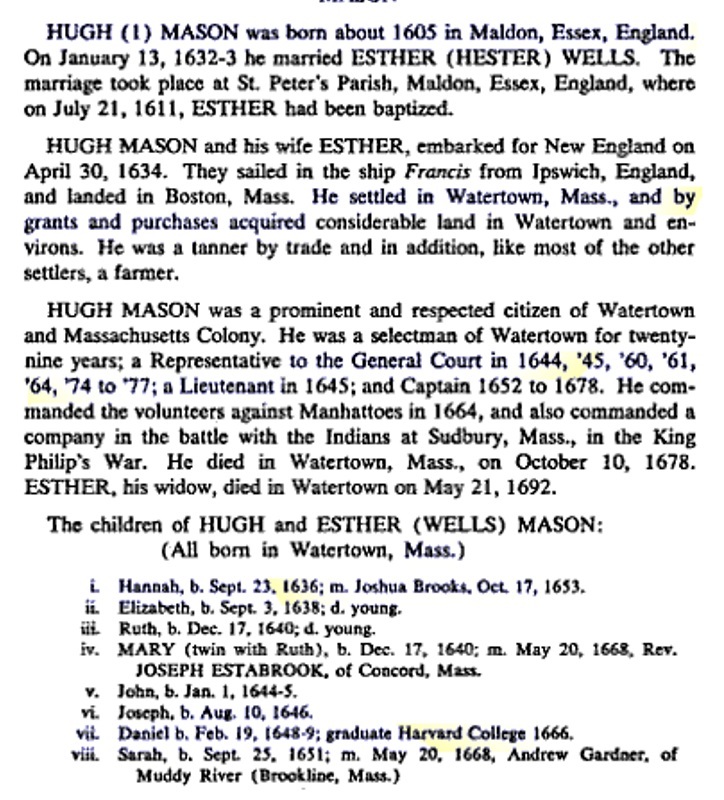 Hugh Mason Genealogy, at http://kinnexions.com/kinnexions/mason/rr_toc.htm, #1462. 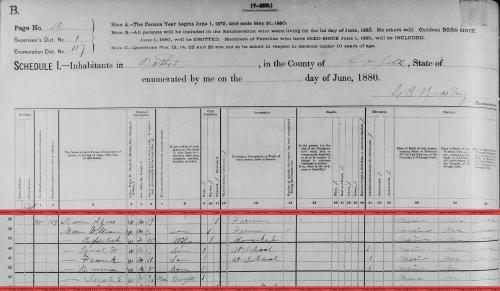 "Maine, Faylene Hutton Cemetery Collection, ca. 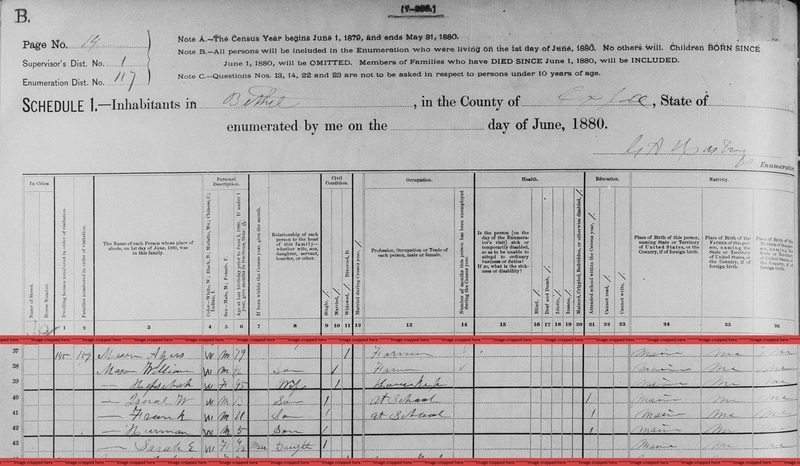 1780-1990," database with images, FamilySearch (https://familysearch.org/ark:/61903/1:1:QKMB-B665 : accessed 9 April 2016), Herman Mason, 1961; citing Burial, Bethel, Oxford, Maine, United States, Maine State Library, Augusta; FHL microfilm 1,769,865.